None of those trends got the majority of respondents excited, but a few saw sizable interest. Without a single mega trend to rally around, we thought we’d explore all six of those trends. 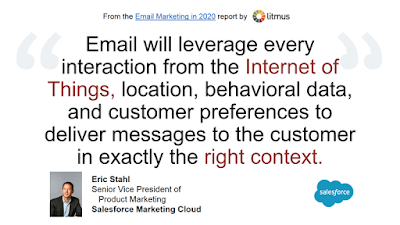 In addition to sharing our own thoughts, we’ll add in the opinions of some of our Email Marketing in 2020 ebook contributors, giving you even more reasons to be excited about these email marketing trends in 2017, all of which we think will be impactful. 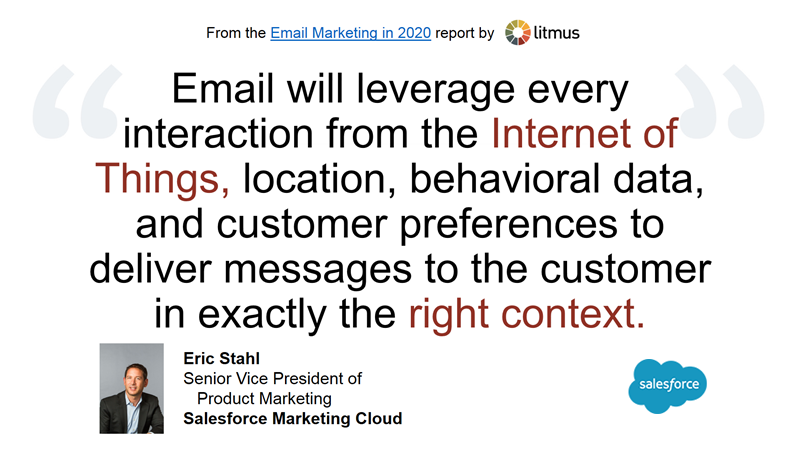 Email interactivity brings some of the interactions that would normally take place on the landing page and pulls them into the email. 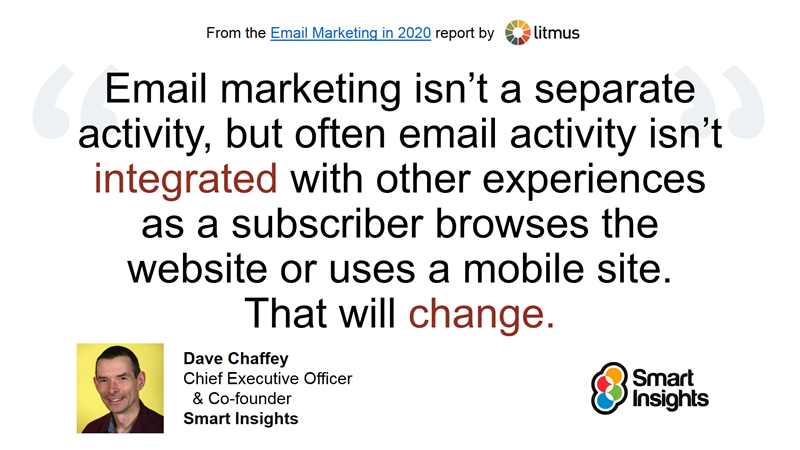 By allowing more to happen inside an email, it reduces barriers to engagement and makes clickers have even higher intent. Tracking and attribution changes. 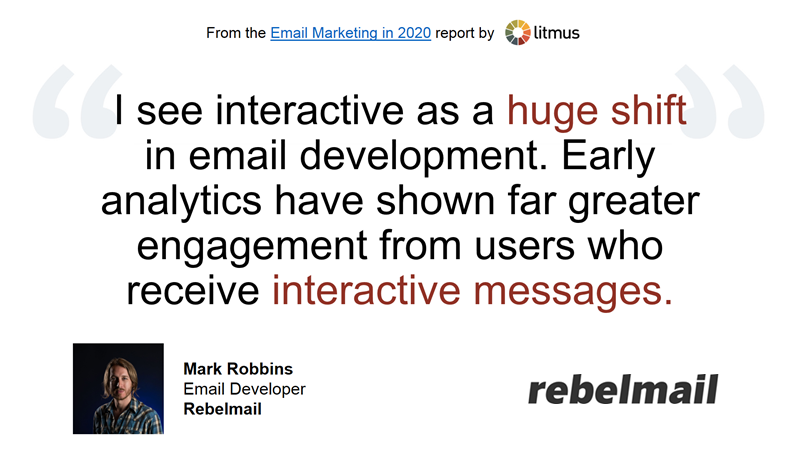 Since interactivity pulls action from the landing page into the email, click rates become a little less important and in-email engagement becomes more important. 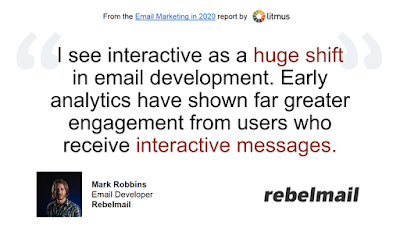 And you need to measure that in-email engagement using new metrics like email interactions, which are special opens that are triggered by engaging with interactive email elements. 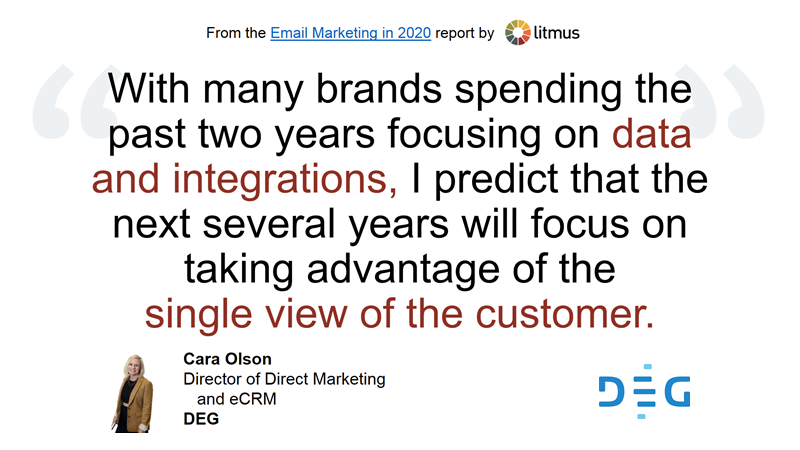 This change in email success measurement can be the trickiest issue when trying to get buy-in from executives to do interactive emails. 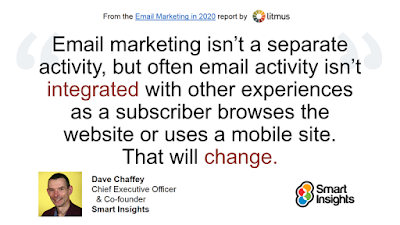 But no matter how uncomfortable these changes make email marketers, this change is coming all the same because it improves the subscriber experience. 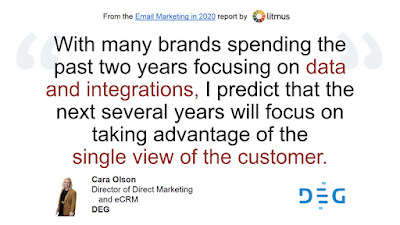 The “right content” portion of the “right content to the right person at the right time” equation for email marketing in many cases equals personalization. 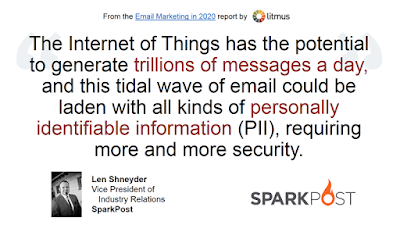 Translating the Big Data trend into actionable signals for email marketers starts with breaking down silos and integrating data across channels, which many large brands have been focused on in recent years. Once all the data is pooled and the dots are connected—which is no small technological or political feat—brands can build the most detailed views of individual customers that they’ve had to date, using a wide range of reinforcing data points to inform messaging. 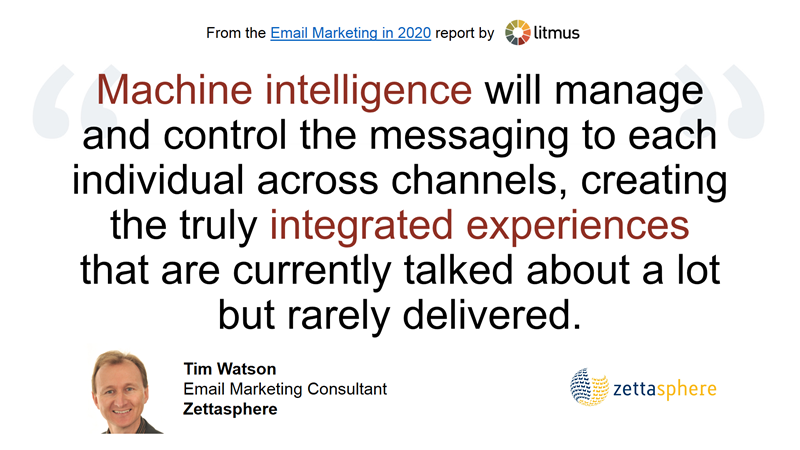 Marketers have largely embraced the inevitability of personalization driving most of the content in emails. However, the process of enabling Big Data personalization is so complex and involved that it’s never likely to be a huge trend in any particular year. Instead, it’s probably truer to say that we’re in the half-decade of Big Data personalization. 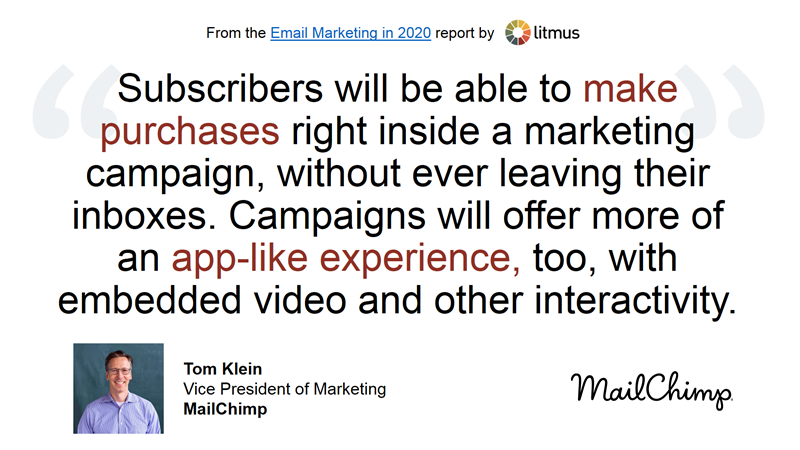 In January 2013, I made what seemed like a not very radical prediction at the time: “Video in email will finally take off.” Then Apple dropped support for HTML5 video in all of its email clients, slamming the brakes on this promising trend. Now, with the launch of iOS 10, HTML5 video support is back! As of November, more than 53% of emails were opened in Apple email apps, which is more than enough to justify trying it. Just be sure to build in a fallback for subscribers using email clients that don’t support HTML5 video. While the marketers we polled were more excited about interactive emails, it’s hard for us here at Litmus to not see HTML5 video as a form of interactivity. 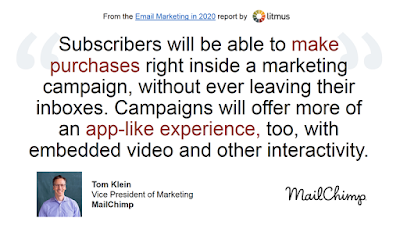 Moreover, video in email is straightforward and easy for subscribers to understand—and for that reason is likely to be a catalyst in making both marketers and email users more receptive to other forms of interactivity. 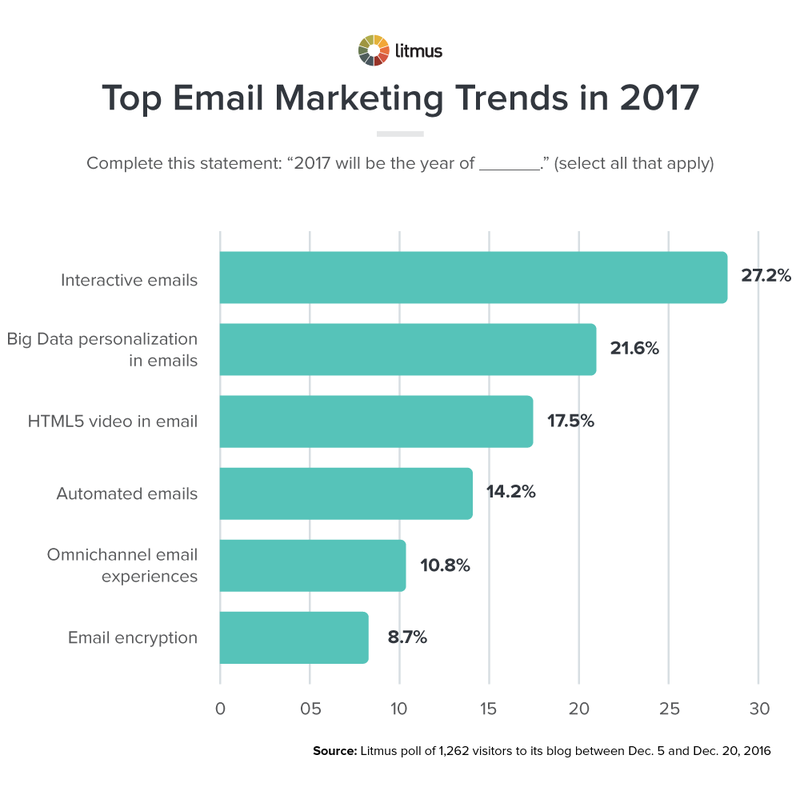 Even if this isn’t the year of automated emails, marketers clearly know the importance of this trend. 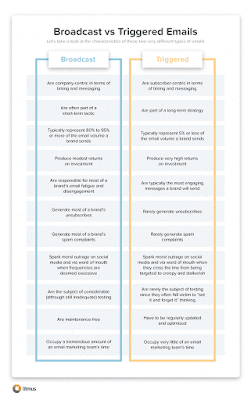 Triggered emails, like welcome emails and cart abandonment emails, already generate the majority of email marketing revenue at some brands, even though triggered email volume typically comprises about 5% of overall email volume. 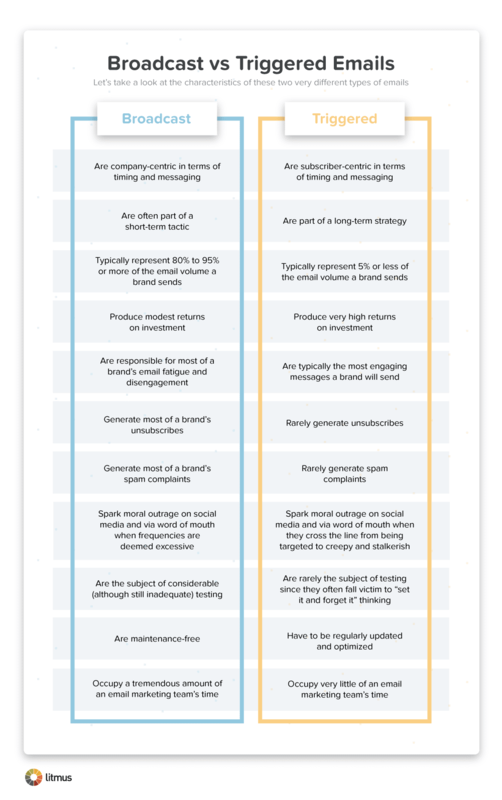 The outsized productivity of such a small percentage of email volume presents huge opportunities for brands to better engage subscribers. It also calls into question all the time and resources that are currently spent on broadcast emails, the volume of which continues to climb every year. Consumers expect brands to recognize them across channels and to treat them consistently. Brands are racing to catch up to consumer expectations. Piecing all of a consumer’s interactions together to create a single view of the customer is the holy grail…and is difficult. Equally difficult is then acting on that single view. 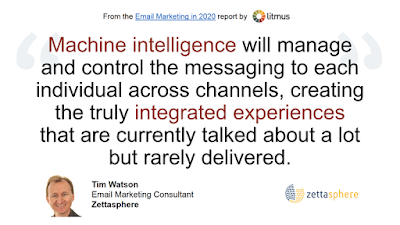 Being able to nimbly send the right messages to each consumer via the individually appropriate channel will require major integration. It will also require a lot of machine intelligence. 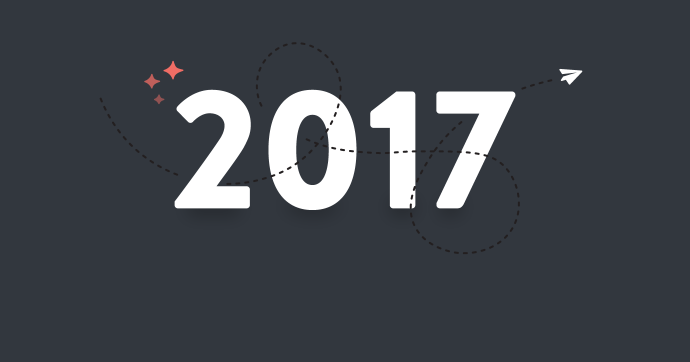 2016 was a great year for email marketing, but it was a horrible year for email. Hillary Clinton’s emails and her use of a private email server were a major campaign issue. Yahoo revealed that 1 billion user accounts were hacked in 2013 and another 500 million in 2014. And then the Russians hacked the Democratic National Committee’s emails. While encryption wouldn’t have prevented the hacks at Yahoo or the DNC, email security is top of mind for many right now. 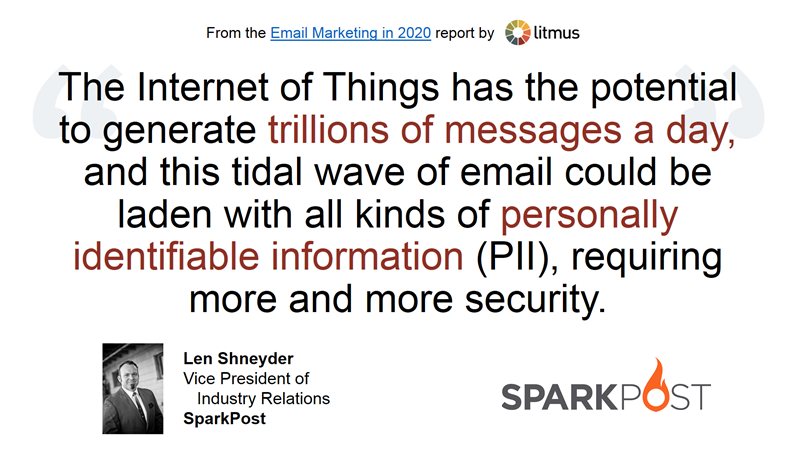 With emails becoming more personalized and powered by data from many channels and Internet of Things devices, the call for greater security to ensure privacy will only grow. Gmail already highlights which emails are encrypted, using a little lock icon to flag which were sent using transport layer security (TLS). If another major inbox provider follows Gmail’s lead, then encryption will gain serious momentum toward becoming a best practice. While it’s unclear which trend or trends will dominate the year, it’s guaranteed that 2017 will be the year of email marketing change. It always is.